By Xah Lee. Date: 2015-05-05 . Last updated: 2016-06-18 . Here's how to switch your layout on Windows Vista. It should be similar for Windows 7 or Windows XP. Press the ❖ Window key to open the Start Menu. Click on “Clock, Language, and Region”. Click on “Regional and Language Options”. A dialog window will pop up. 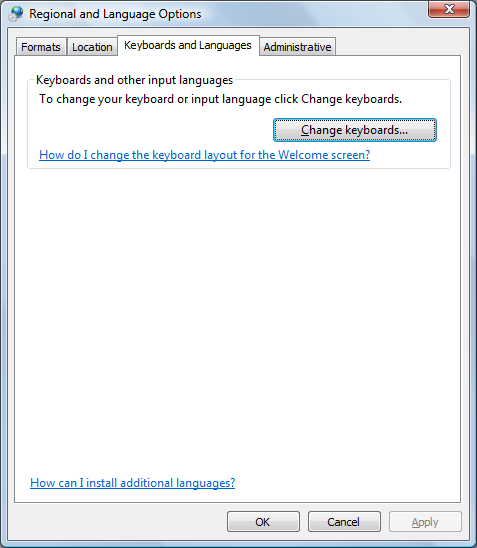 Click on the “Keyboards and Languages” tab. Click the “Change keyboards…” button. 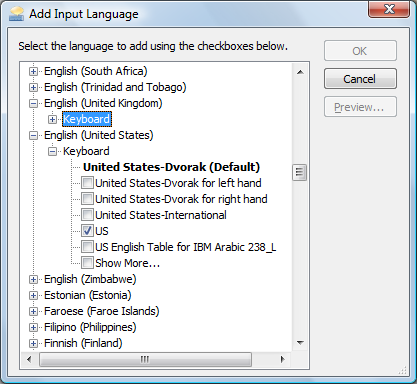 Click “Add…” button, then select 〖English ▸ Keyboard ▸ United States-Dvorak〗.